Today Senator Ron Wyden (D-OR), Chairman and Ranking Member of the Senate Committee on Finance, announced Sharon Edenfield, Tribal Council Member for the Confederated Tribes of the Siletz Indians as his appointee to the Tribal Treasury Advisory Committee (TTAC). TTAC, established under the Tribal General Welfare Exclusion Act of 2014 (P.L. 113-168), will advise the U.S. Secretary of the Treasury on taxation issues in Indian Country and help establish training and education programs for Internal Revenue Service field agents who work with tribal governments. Edenfield has more than 30 years of experience working directly on tribal tax, financing, and insurance issues in Indian Country. 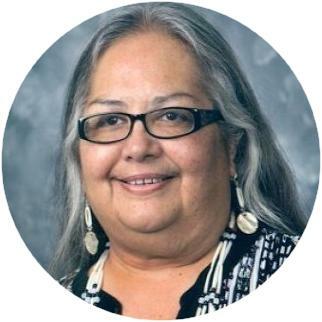 She joins four other appointees to the TTAC: Ron Allen, Chairman and Chief Executive Officer of the Jamestown S'Klallam Tribe, Lacey Horn, Treasurer of the Cherokee Nation, Eugene Magnuson, Treasurer of the Pokagon Band of Potawatomi, and Lynn Malerba, Lifetime Chief of the Mohegan Tribe. The remaining two appointees of the TTAC will be made by the Chairman of the Ways and Means Committee. To submit comments or solicit feedback on the TTAC activities and policy ideas, use the following email info@ttacresources.org. For questions or comments on this broadcast please contact Jennifer Parisien at Jennifer@nafoa.org or (202) 558-8040.